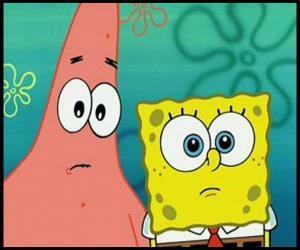 I would have never thought that I would write about Spongebob on my blog! He is a cartoon character that my kids have been watching for several years now. Even though, they are teenagers now, they still enjoy watching Spongebob from time to time… Personally, I don’t find him very amusing and his laugh annoys the heck out of me! Really! 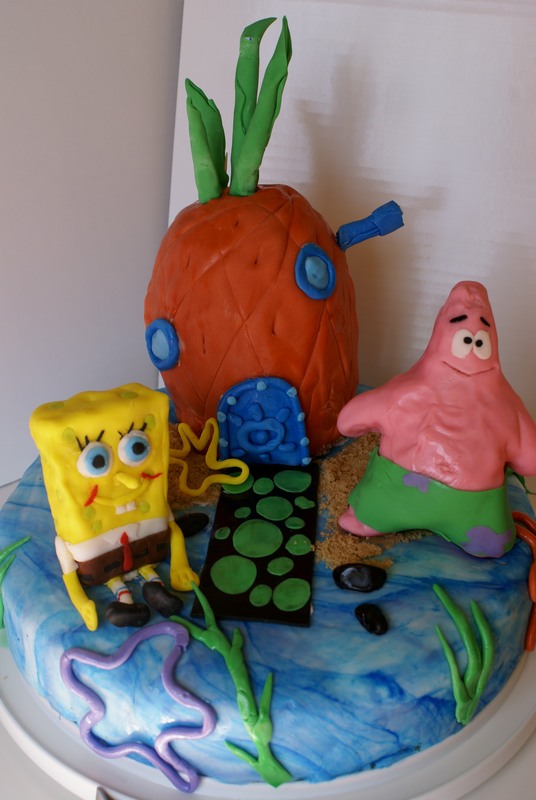 The reason, I am writing about our famous Spongebob is that my 7 year old nephew wanted a Spongebob birthday cake! Actually, he said he wanted either a “Spongebob” or “Cars” cake… Since I made him a “Cars” cake last year, I just took on a Spongebob challenge. I am not really a fondant cake type of person! Yes, fondant covered cakes are nice and beautiful, works of art and so on… just not for me! 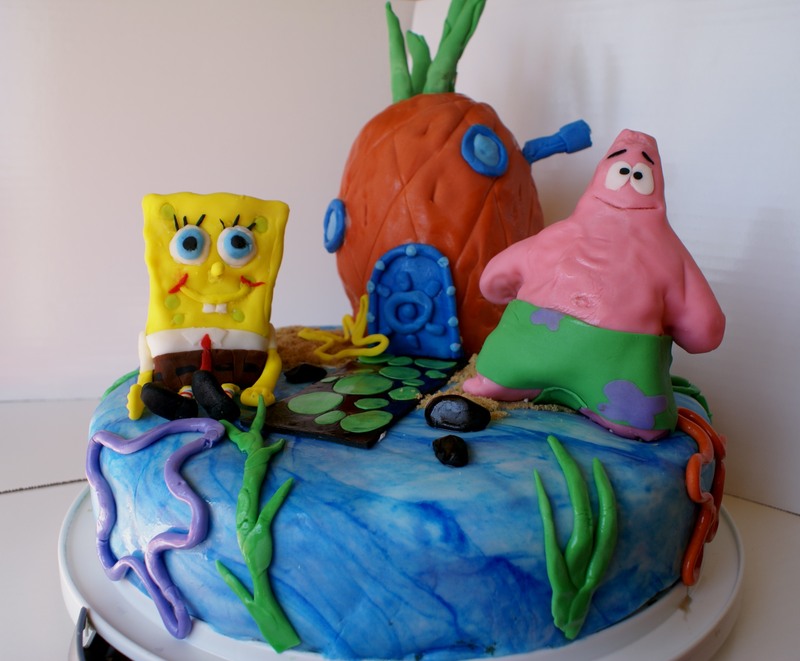 So, this was really a double challenge – Spongebob and fondant (so not me)! For the love of my cutie-pie nephew I made this cake! It wasn’t easy and it was time consuming. I enjoyed baking the cake from scratch and making the chocolate ganache frosting. I sliced the cake in half, spread half of the frosting on the first sponge, then put a layer of banana slices, frosting again and then second cake sponge on the top. Spongebob, his house and Patrick I made from rice crispy treats. Everything was covered in fondant (of course)! Fondant was a whole different story! I didn’t make it myself (learned that lesson last year)! 😀 I bought the white fondant and then worked food coloring into it to get the colors needed for the Spongebob cake! While I was working on it, I remembered how people on the Cake Boss Show do this every day and all I can say is “Hats off to them!” After I made all the colors needed for the cake, I started working on all the small pieces that would come together at the end. My daughter helped me build Spongebob because she loves him and knows every little detail on him. She went even so far to put red and blue stripes on his socks!!! :S This was hard work, but I am glad we did it, especially because my daughter and I worked as a team and in the process she told me about all the funny Spongebob episodes. You guys ROCK!!! What a great job!!!! Sibella do you have pictures of your Cars cake? The cake looks super incredible Sibella! My sister (her name is Shireen, which means ‘sweet’) also makes birthday and wedding cakes, and she has a similar aversion to fondant, so what you say resonates! Am sharing this on my fb wall! Thanks so much! I think if I had enough space and right tools it wouldn’t be half as bad… Please tell Shireen I can feel her pain! 🙂 Greetings to both! 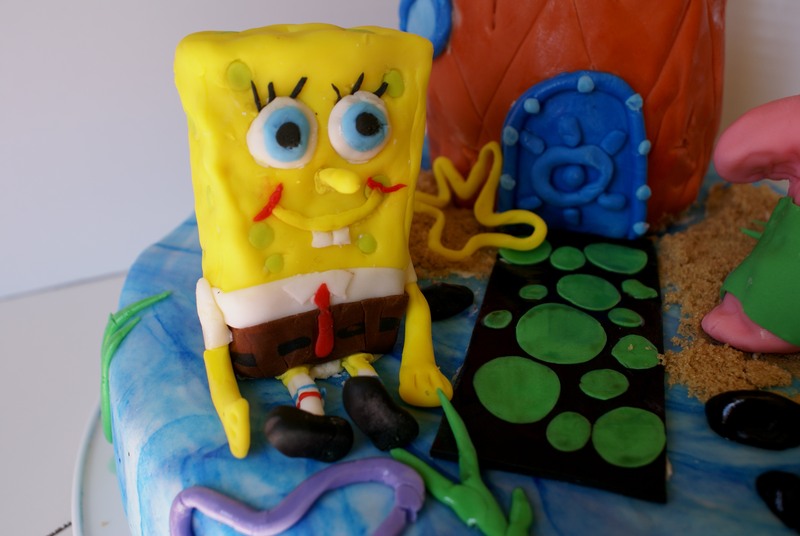 Wow, this spongebob squarepants cake is incredible, so much detail!!! Oh, thanks! 🙂 It was a challenge and it is not very precise, but it was worth all the time we put into it!